Now here’s a real whopper of a tree! 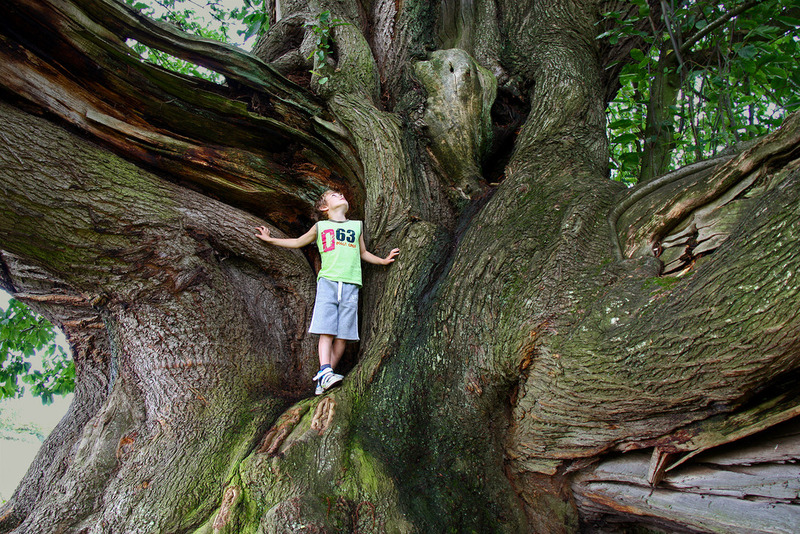 I have to thank Andy G for leading us to this amazing Sweet Chestnut tree in Cowdray Park this morning. It was a bit of a trek with the children in tow but definitely worth the walk. This tree is known as “The Cowdray Colossus” and according to the British Tree Register it’s the largest Sweet Chestnut in England. At 300 or 400 years old, it has a girth of around 40 feet and is about 90 feet high and 110 feet wide. And what a monster! To give you a sense of it’s huge size, here’s a photo of a small boy standing near the base of the tree.